The late Issue Combat Jeep Vehicle (7000) from 1976 is a very tough item to find complete, and even harder to get with the box. 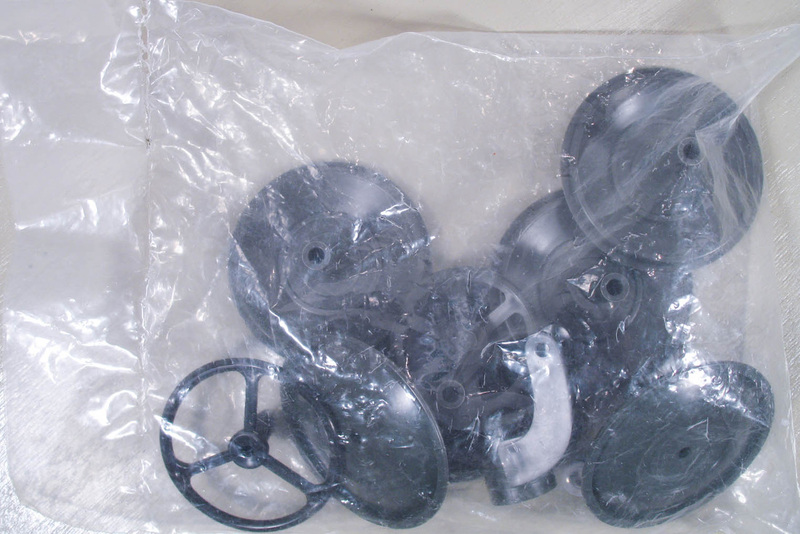 The set shown here has never been assembled and has parts still sealed in the factory bag, hence the spin of the component parts above. This is a much cheaper jeep than the original version from the 60s, made of blow molded plastic. The trailer is softer plastic than the original and has a distinctly pebbled surface on the interior. The cannon is glued rather than riveted together like the original and cannot fire. The same jeep without the trailer was last used the next year for The Defenders, a line of simple figures at a lower price point Hasbro ran for a year to use up the tail end of their Joe accessories. 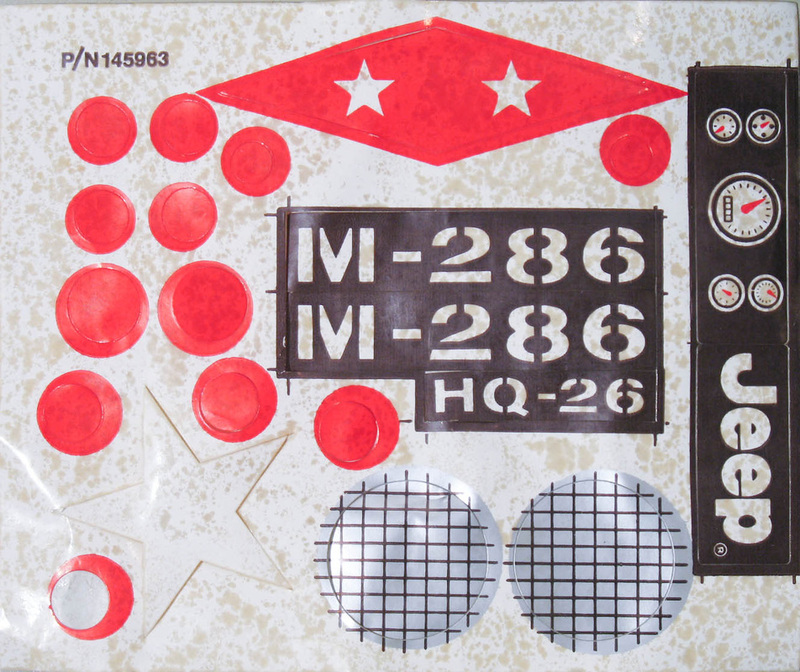 Below, the non-firing cannon, parts bag, and sticker sheet. Above, the instruction sheet.